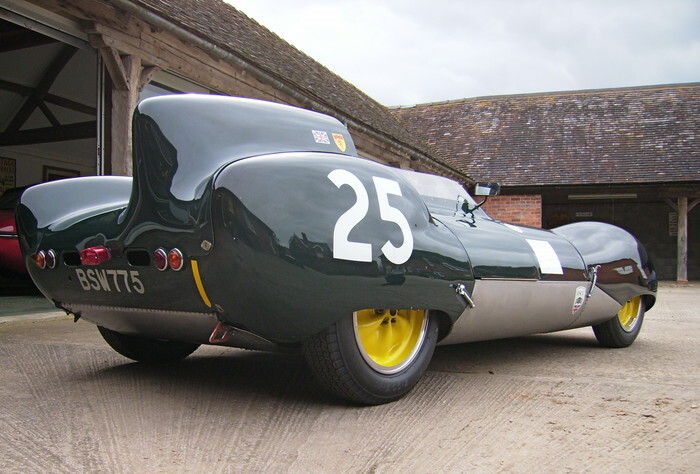 The Eleven was arguably the most successful Lotus sports racing car. 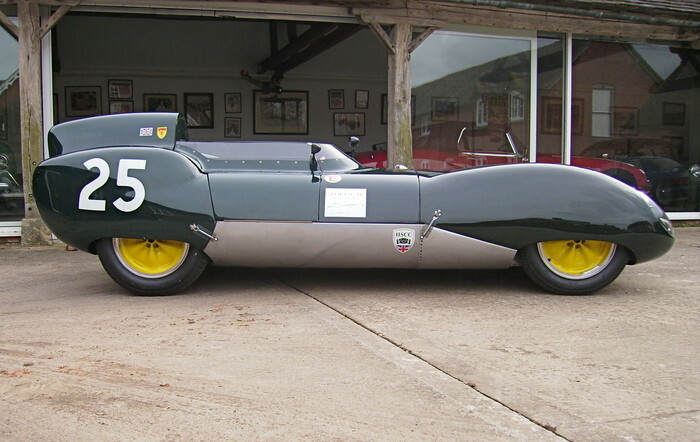 A year after committing to the business full-time, it was designed and built by Colin Chapman and Mike Costin in 1956 as a replacement for the ungainly Mark IX and Mark X. 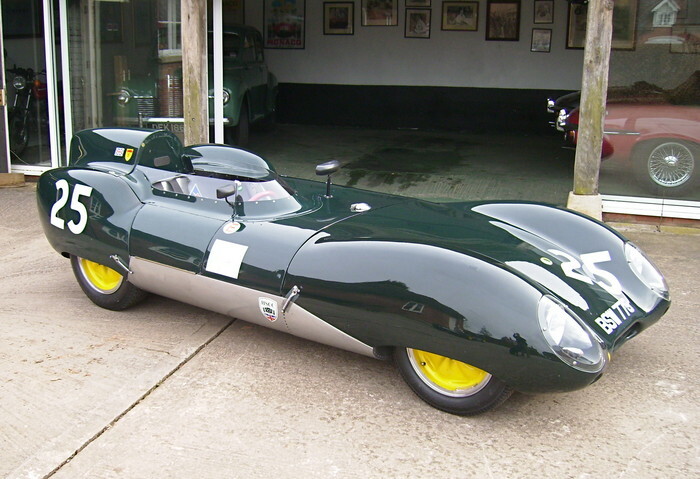 It was offered in Le Mans, Club and road going Sports versions with the majority of the cars powered by the incredibly light Coventry-Climax 1098 cc FWA engine to run in the 1100 cc racing class. 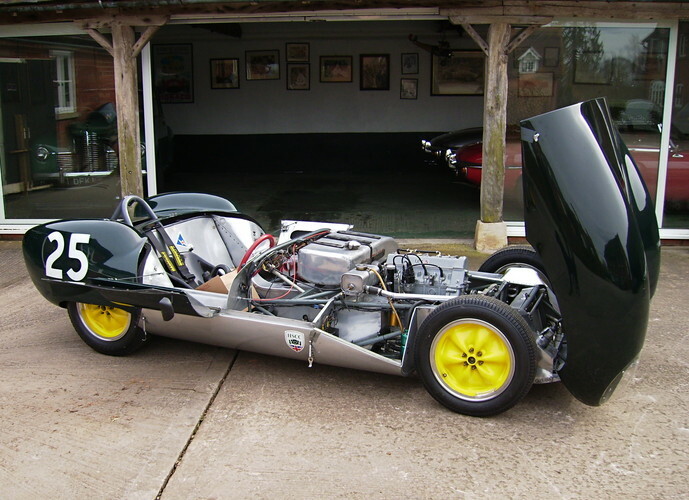 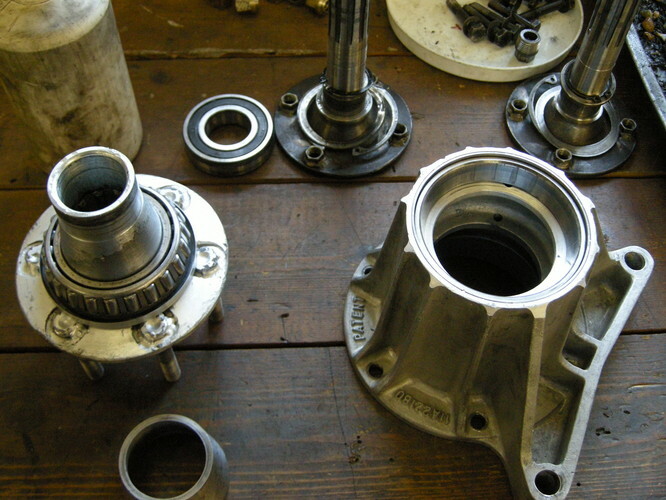 However, 1956 also saw the introduction of the 1460 cc FWB Climax unit to run in 1500 cc and F2 events which developed 142 bhp at 6750 rpm, but only found its way into the works cars and favoured private customer's cars. 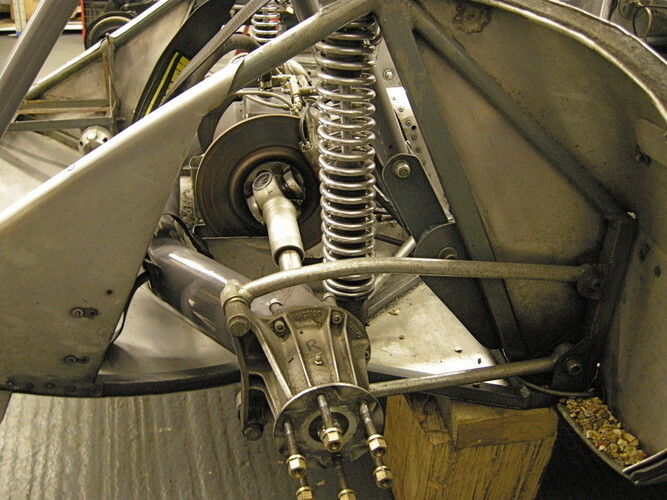 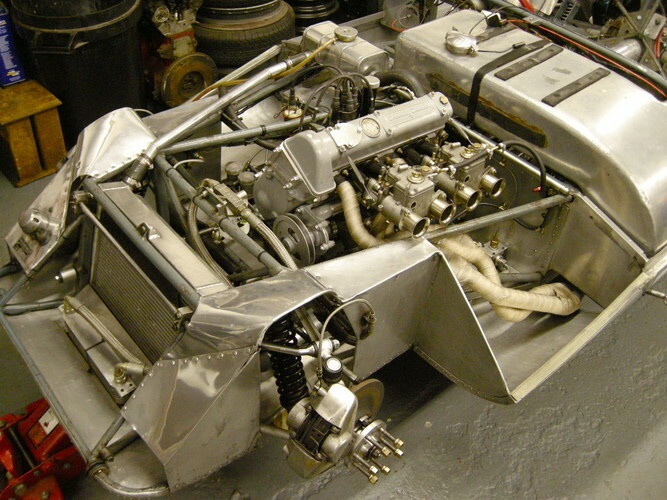 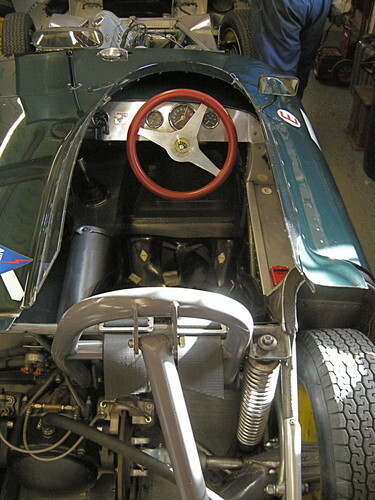 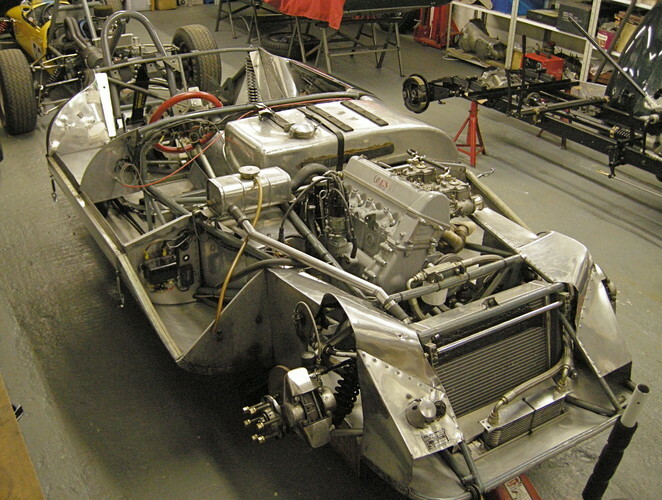 The chassis was typical of the early Lotus spaceframes being made of 18 and 20 swg 1" and 3/4" predominantly round steel tubes. 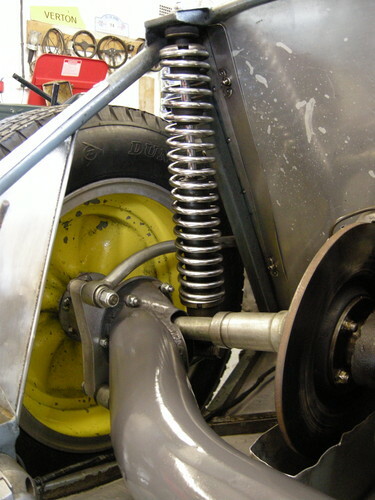 1957 saw the introduction of the Series 2 Eleven which had new double wishbone and coil spring front suspension and a strengthened de Dion rear axle and proved to be the most successful year in competition. 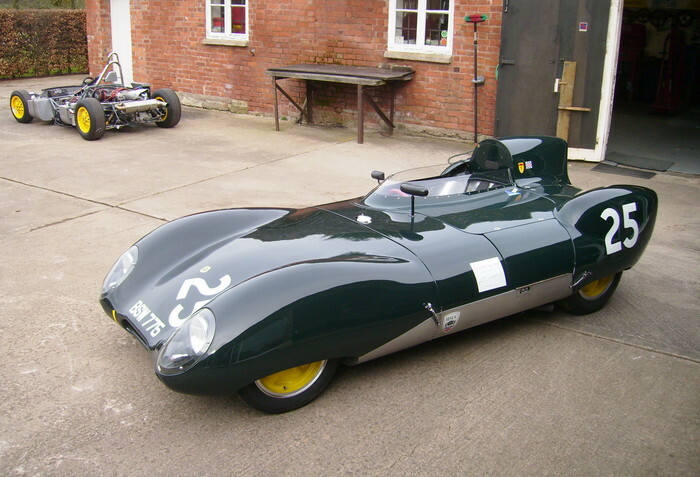 Production of the Series 2 Eleven carried on into 1958 where it continued to dominate 1100 cc class racing. Between 1956 and 1958 some 250 odd Elevens were made with the majority being raced. 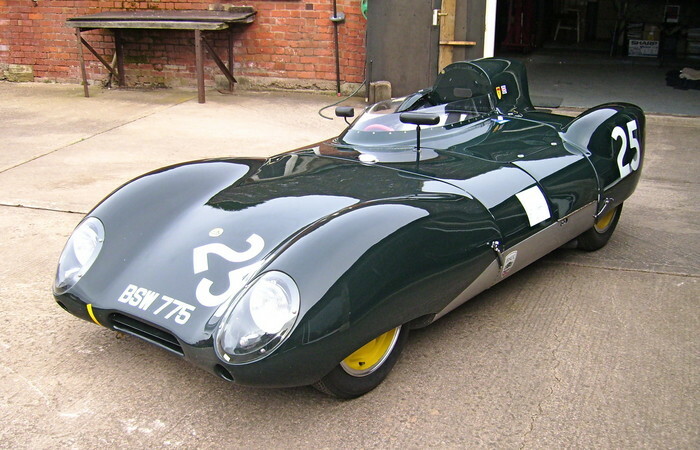 Some of the great names who drove these cars include Stirling Moss, Mike Hawthorn, Graham Hill, Ivor Bueb, Innes Ireland, Cliff Allison, Ron Flockhart, David Piper and Colin Chapman himself who drove very successfully until retiring to concentrate on developement and production. 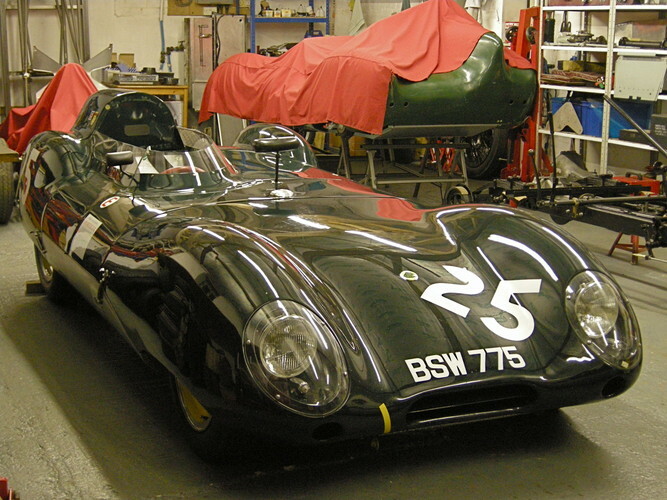 This car came to us for a major service and preparation for a full season's racing. 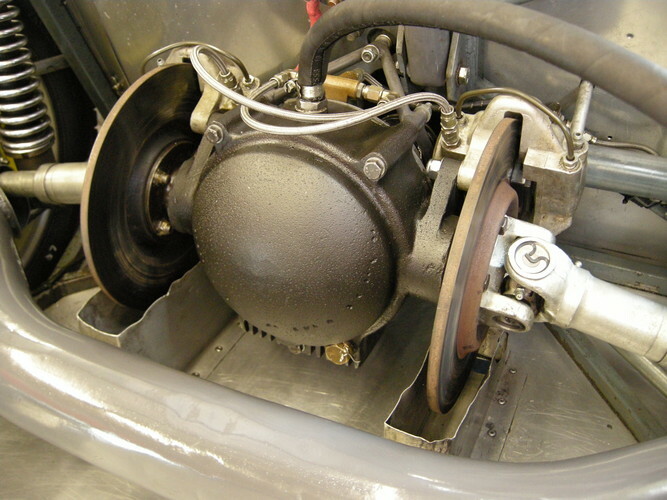 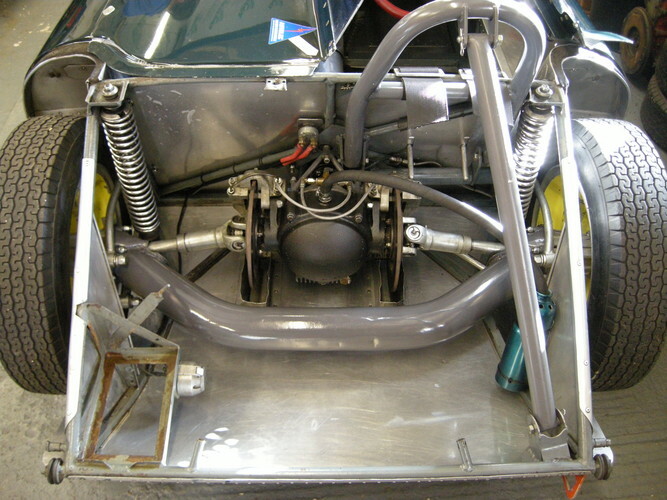 Of note is the long distance racing scuttle tank fitted which is combined into the traditional LH tank.